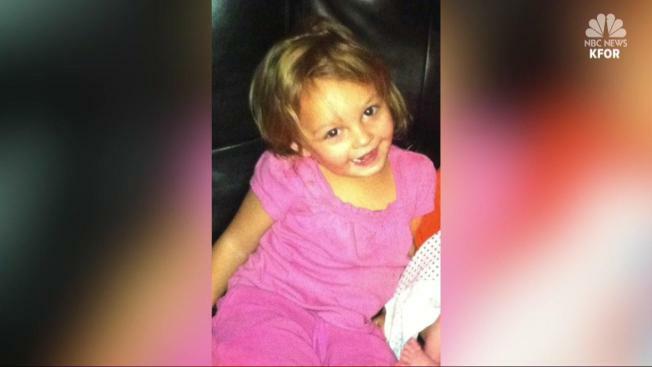 "She was just so chewed up...there's just no coming back from that"
A 3-year-old Oklahoma girl is dead after being mauled by her family's new pet pit bull Sunday afternoon. Jason Dodge says he left his Duncan home Sunday afternoon to go see his brother. His daughter, Rylee, stayed at home with her grandmother. Dodge had only been gone about 20 minutes when his mother called him to tell him the dog was attacking Rylee. “I got the phone call, you know, 'Your daughter and the dog,' and that’s all I heard and I rushed here as fast as I can,” he said. He arrived back to find a horrific scene. His mom was laying on the dog, covered in blood, struggling to get the dog off of Rylee, he said. The 3-year-old was laying limp on the bed. Dodge said he grabbed his daughter to rush her to the hospital, but the ambulance arrived just as he was carrying her out. "She was just so chewed up, I mean there's just no coming back from that. The doctors did everything they could. They tried to give her blood and everything, and she'd just passed. There's nothing they could do, absolutely nothing," Dodge said. Dodge said he had just gotten the pit bull five days ago from a friend. He had even taken his son over to the friend’s house to make sure the dog was friendly with children. “It loved him, gave him a hug and licked him on the face and everything. Brought him here, my son come outside all day long and play with him, didn’t do nothing to him,” Dodge said. Dodge said he kept the dog in his fenced-in front yard and his daughter opened up the front door because she wanted to play with the dog. It immediately attacked her. Dodge said his mom, Rylee’s grandmother, was not bitten by the dog but had to go to the hospital, as well. “She actually pulled her arm out of the socket by holding the dog down so long until I got home. She had to check herself in the hospital herself because her arm was so messed up from holding the dog down too long. She couldn’t breathe, she couldn’t, I mean she had no stamina whatsoever. She couldn’t even get up,” Dodge said. Dodge said Rylee loved all animals and had a sweet and loving nature. Police ended up shooting and killing the dog.